Most E60 M5’s will produce in the region of 500-506bhp (flywheel) on our dyno. With the ECU remap we see powers of upto 535bhp once an adaptation time period has elapsed on a standard car, more on a modified one. Through careful remapping of the factory BMW DME tables, various elements such as ignition timing, fuel delivery, and part throttles are reworked to create performance gains. The result is an E60 M5 which feels far sharper and pulls harder through the rev band. 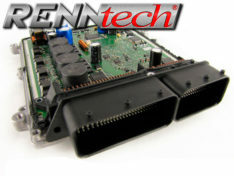 On top of this we can also offer the option of engine management light deletion for those with exhaust modifications. To get this software we now offer the Evolver remote tuning tool. 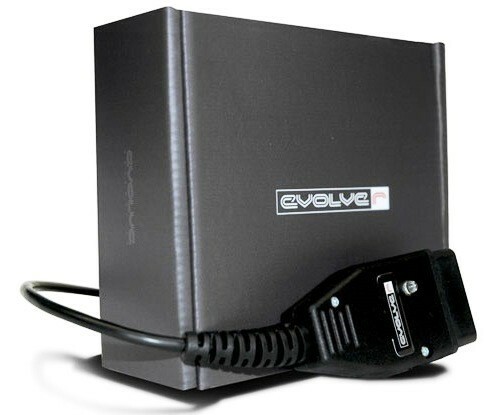 The Evolver is the latest hardware release from Evolve, enabling customers to load our industry leading ECU software upgrade directly into their vehicles themselves, at home. Choose between your stock map or upgraded Evolve map at your convenience, and no trace is left when you replace your stock software.